Jazz, Latin and lounge - a diverse and eclectic repertoire including contemporary originals and featuring vocalist Libby Hammer. Hip Mo' Toast, five-time winner of the West Australian Music Industry Award for Most Popular Jazz Act presents its first full-length studio recording, Uptown Tight. The album features both critically acclaimed originals and new jazz arrangements of non-jazz repertoire. 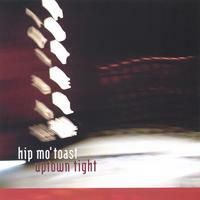 Hip Mo' Toast has featured songs from this album on two tours to Sydney and Melbourne where they played at the Basement and Bennett's Lane respectively. Since the band's inception in 1997, Hip Mo' Toast has become the first name in jazz in Western Australia. Hip Mo' Toast has also produced two EPs, Introducing Hip Mo' Toast and Hip Mo' Toast Big Band Live, featuring the awesome 14-piece Big Band recorded live at the Varga Lounge in 2001. Their third album, Uptown Tight, is a world-class jazz recording, drawing from a vast realm of jazz-influenced music styles. From the title track, a perky swing tune, to the cheesy but infectiously hip Zoo Be Zoo Be Zoo, the album scintillates with humour and energy. From the modern reharmonisation of jazz standard Bye Bye Blackbird to the devastating ballad Forgive Me, Uptown Tight shows that Hip Mo' Toast and vocalist Libby Hammer are fast-becoming an outstanding musical force in the jazz genre.